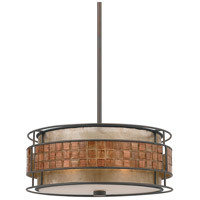 Long Description: A swank, soft modern look paying homage to the days when Frank, Dean and Sammy were serving martinis and cosmopolitans in their sleek Palm Springs homes. 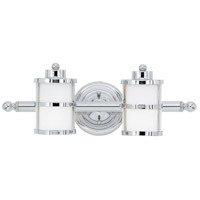 Contains 20% genuine lead crystal. 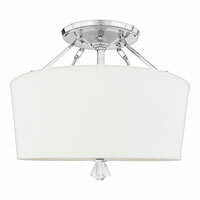 Please note that this style was previously convertible. 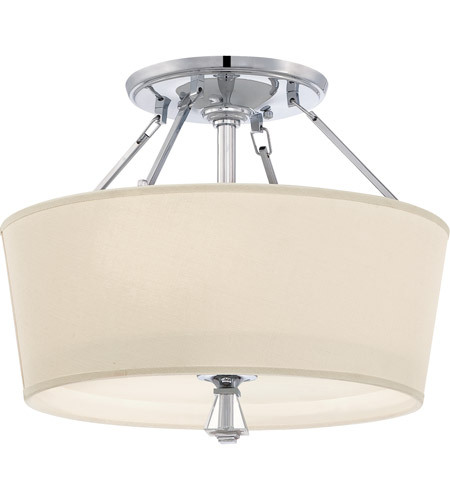 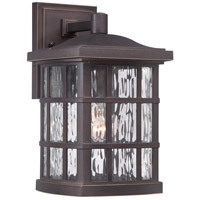 A The Quoizel Lighting Deluxe 3 Light Semi-Flush Mount DX1718C has a white fabric shade. 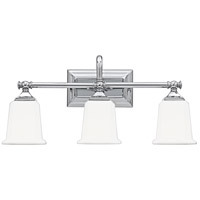 Q Is this fixture rated for use in a bathroom? 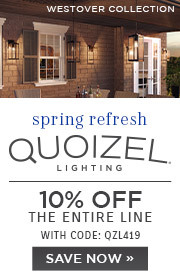 A Yes, the Quoizel Lighting Deluxe 3 Light Semi-Flush Mount DX1718C is listed for use in damp locations. 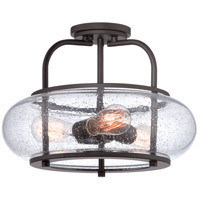 Q Does this have a diffuser on bottom? 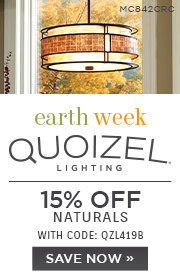 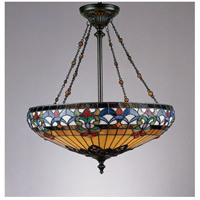 A The Quoizel Lighting Deluxe 3 Light Semi-Flush Mount DX1718C has a diffuser on the bottom.